Squash is a racquet sport played by two players (or four players in doubles) in a four-walled court with a small, hollow rubber ball. This fast-paced game has been described as turbocharged chess — the more skilled a player is, the more strategic the game becomes. Players are also continually challenged mentally and physically. The objective of the game is for players to take turns hitting the ball against the front wall, above the tin and below the out line. The ball may strike the side or back walls at any time, as long as it hits below the out line. A ball that lands on the out line or the line along the top of the tin is considered to be out. 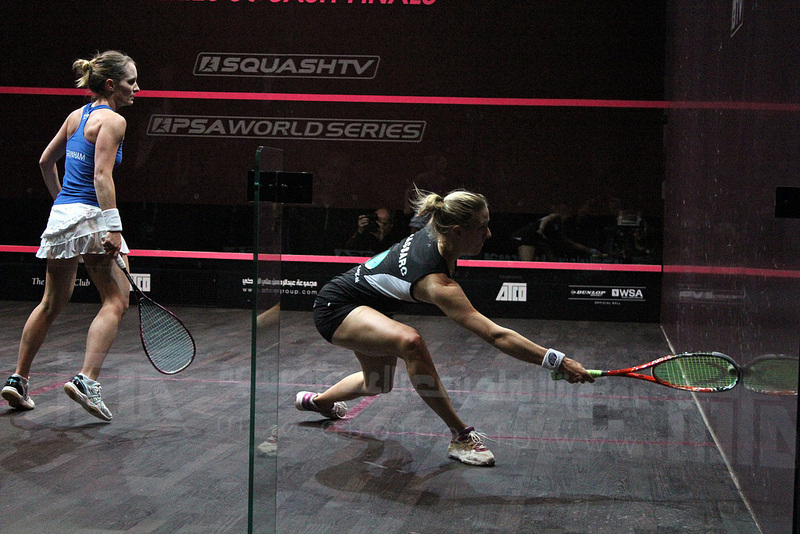 After the ball hits the front wall, it is allowed to bounce once on the floor (and any number of times against the side or back walls) before a player must return it. Players may move anywhere around the court but accidental or deliberate obstruction of the other player’s movements is forbidden. Players typically return to the centre of the court after making a shot. For more detailed information on the rules, see the links below.